Coffee culture is so much more than what coffee you should order. In many countries, coffee culture involves how you take your coffee, the expected behavior and the social aspect of drinking coffee. Many countries have had a coffee culture for hundreds of years, and many countries are a bit newer to having a coffee culture. 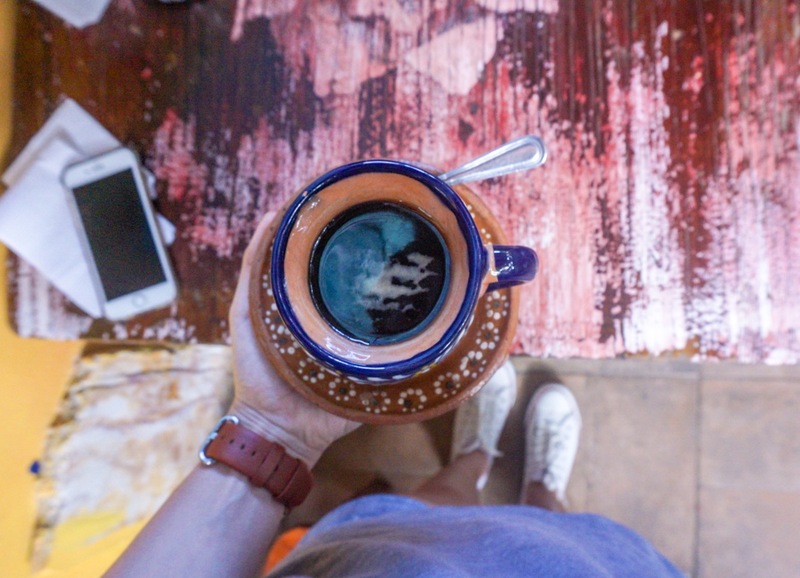 Travel bloggers from around the world are sharing their experiences of the coffee culture around the world of their home country or places they have spent a significant amount of time in. Whether we like it or not, Starbucks has had an influence on coffee culture in the United States. Before Starbucks being in almost every city in the US, our coffee culture was limited to coffee drunk at home, coffee at a diner or coffee made by office workers. I cannot remember my father every making coffee at home or going to a coffee shop before Starbucks becoming so popular. He only drank it at work or on long road trips in the car. In college, I had a coffee maker in my apartment but there wasn’t a coffee shop on campus, this is the late 90s for reference. Now we don’t just have Starbucks now, but small independent coffee shops all over the country. Of course, we like sweet things, so many people here don’t just order coffee or Americanos but Vanilla Lattes and Caramel Macchiatos. We have adopted the coffee shop culture of hanging out in them with friends, working in them and even as a place to meet new people. 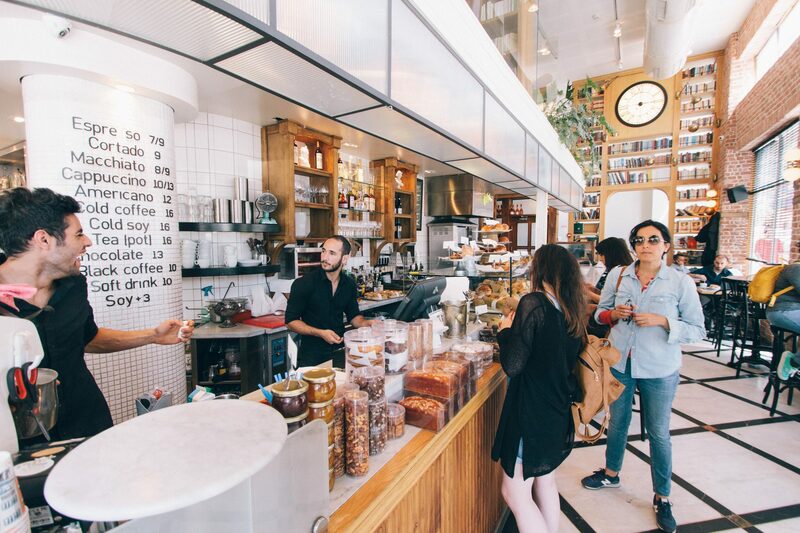 More and more people are learning about good coffee in these small coffee shops and are reconnecting with their local community this way. Need a good cup of coffee? Come to Canada – you’ll find more than enough! 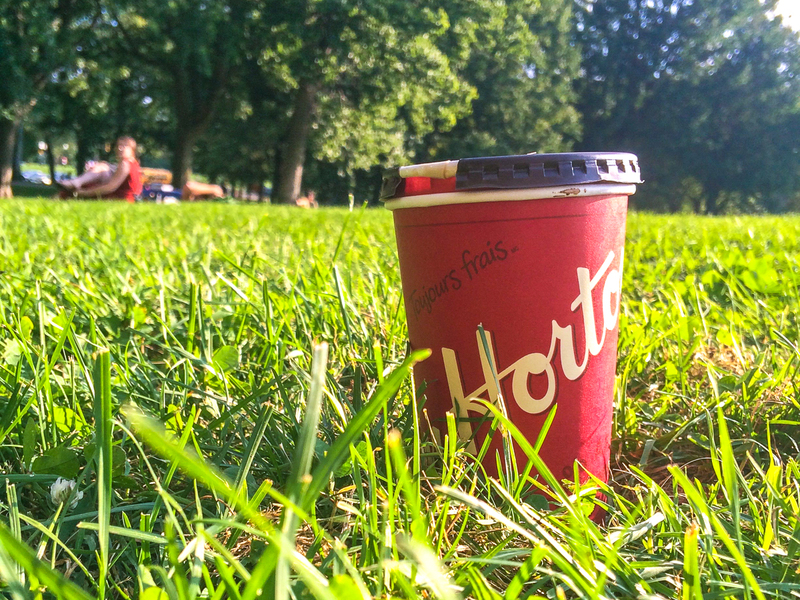 Canada is among the highest countries in the world when it comes to consuming coffee. Coffee culture is pretty strong, and Canadians are very social. Local coffee shops are a great place where people meet, chat, and catch up on a daily basis. While there are a few chain brands (which we’ll get to), smaller, local, or artisan coffee brewers are popping up in smaller towns. These places are bringing back the “barista” coffee with flat whites and espressos making a push into Canada. That said, coffee time is ingrained into our social culture – we even have a brand that is synonymous with “Canada.” You may have heard of Tim Horton’s – the popular Canadian coffee chain. Named after a famous ice hockey player (go figure), Tim Hortons or “Timmies” is a go-to for coffee, baked goods, sandwiches, and more. If you want to truly embrace Canadian culture and a bit of our lingo – go order a “Double Double” at Tim’s. This is a coffee made with two cream and two sugar – and it’s a classic that you either love or hate! Coffee in Argentina is more about the ritual than the coffee itself. The day begins with coffee as the star of the show, accompanying a bare breakfast of toast and jam. Every afternoon, locals pause their day for a merienda, which roughly translates to snack time but is much more than that. 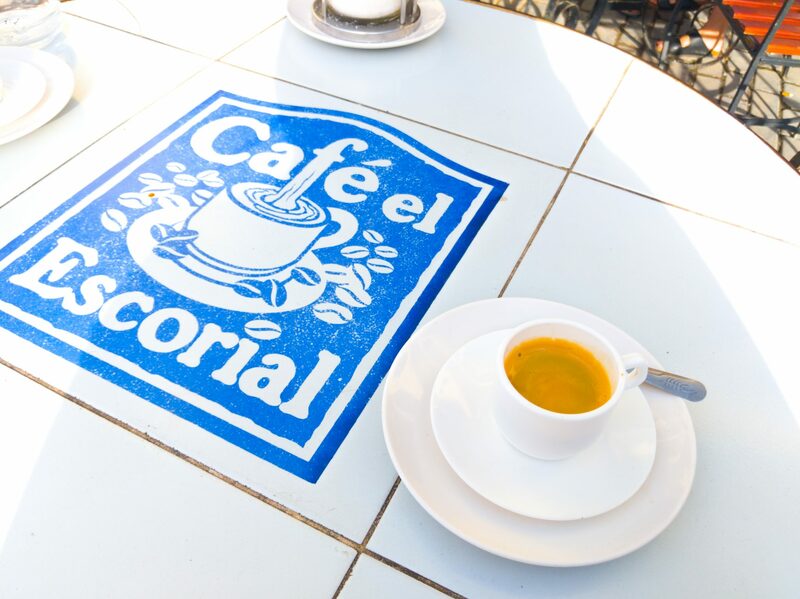 At home or a traditional café, the café con leche or cortado is served with sweet, buttery pastries called facturas. Coffee in Argentina is simple, a shot or two of espresso mixed only with a bit of milk. Like most traditional Argentina food, coffee culture is heavily influenced by the mass immigration to Argentina from Italy and other European countries. The best coffee-related tradition in Argentina reflects the importance of relationships here, the sobremesa. 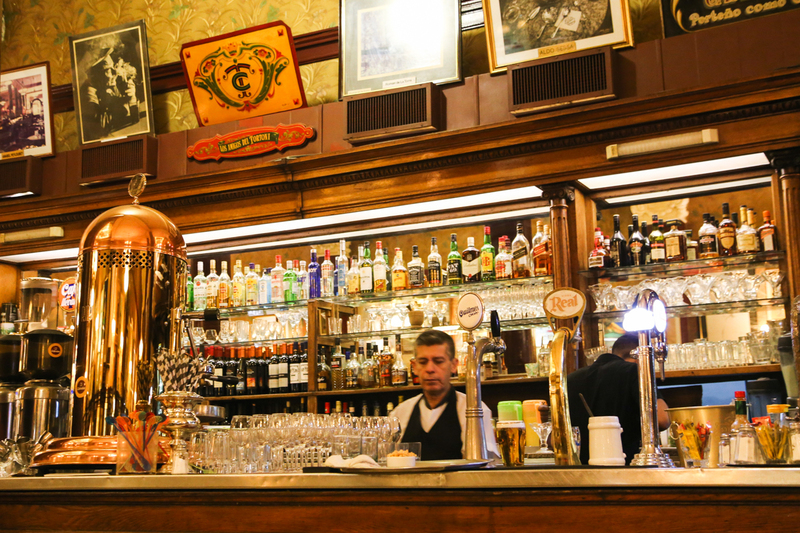 There’s no rush to end a meal and rush home afterward in Buenos Aires. Family and friends linger at the table, slowly sipping their coffee and enjoying their time together. This coffee centered tradition is the final course of any meal, the sobremesa. New cafes are opening every week in hip neighborhoods like Palermo, filled with hipsters and freshly ground beans imported from far away nations, but give me sobremesa or a merienda in a historic, traditional café any day. Coffee isn’t just part of daily life in Brazil; it’s an essential part of their economy and history. At breakfast, lunch, dinner, at a business meeting, or any activity that requires a wait, having a little coffee is common practice in Brazil. Known locally as a “cafezinho,” it’s cheap and super delicious. A cup of cafezinho is an intense, yet small shot of pure black coffee that comes in a little plastic cup. You can opt to add sugar, liquid sweetener or leche (milk) as you wish. It’s small, but it’s mighty, and it was one of my favorite drinks, not just in Brazil, but all across South America. Coffee was always there when I needed it, such as when I came off an Amazon boat ride and was desperate for a decent cup of coffee for only 25 cents, or when suffering from a hangover after dancing the samba and drinking cachaca in Vitoria. Whether you’re buying coffee from a local vendor or entering an independent coffee shop, you’ll never fail to find a perfect cup of coffee all across Brazil! When I lived in Mexico City, I discovered that the country is not only famous for its history, beautiful culture, and delicious food. I learned that coffee is an important beverage for Mexicans as they take pride in preparing their own traditional drink. Mexican coffee called “Café De Olla” is a spiced drink traditionally brewed in earthenware made with freshly ground coffee, cinnamon, and piloncillo (unrefined cane sugar). An “olla” is a tall, ceramic pot used in Mexico for simmering. This is where the name comes from. When coffee grinds are boiled, it’s important to add piloncillo and cinnamon to tame the coffee’s bitterness and acidity. Pro tip: the authentic café de Olla is served in a clay mug and does not need any additional sugar since piloncillo added when boiling makes it sweet enough. Many people visit Cuba and have fond memories of the people, the music, the mojitos, and the beaches. But often they leave never knowing just how important coffee is to the Cuban culture. Coffee in Cuba is at the center of everything social. When people come to your home, you must first offer them something to drink, either water or rum, or most always coffee. Cubans will give you their last ration of coffee if you visit, not knowing when they’ll have it again because it’s the hospitable thing to do. When I moved into an apartment in Havana one of the first things I learned how to make was coffee. In Cuba, it’s made in a metal contraption on the stove called a cafetera, but Italians and most Europeans will know this as a Moka pot which makes espresso. It’s not hard to make, but this is the only thing you’ll be offered as a coffee machine in Cuba, so it’s best to learn before you go. And while the coffee culture is so strong here, there aren’t a lot of cafes. And that’s because Cubans usually stop into a cafeteria to drink a lot of strong coffee, standing up, for 8 cents whereas tourists drink americanos for $2-3 in hotels. However, my Cuban friends approve one spot as a splurge. Cafe Escorial in Old Havana has strong, high-quality coffee. There are seats that look out onto the square, and while it’s pricey at $2, the coffee and view are worth it. As one of the major coffee producers in the world, coffee culture is deeply ingrained in Colombia’s national identity. Coffee is the country’s biggest export, and it’s grown on a lot of different places throughout Colombia. And the coffee that is produced in each region has its own unique characteristics. However, most of the very best beans are exported to keep up with the growing international demand. That means that most Colombians rarely get to try the premium varieties that their country is so famous for. Most of the coffee that is served in Colombia is tinto, which is cheap, made with lower quality beans, and drank in small cups. This is the kind of coffee that you’ll find in most places in the countryside and working-class neighborhoods. More recently, with the growing popularity of barista culture, it is getting easier to find better coffee made with an espresso machine or other more refined methods. In fact, in any of Colombia’s bigger cities, you can easily find a Juan Valdez coffee shop, the local equivalent to Starbucks; which has become so popular that it has expanded internationally and you can even find some of its shops in the US. Still, for Colombians drinking coffee is a social activity. It is something you do to take a break and enjoy a conversation with your friends, family or colleagues. It is not something you do for just a simple caffeine boost. Slovenia most probably isn’t on your radar of coffee countries, and yes, it definitely doesn’t belong to them, but that doesn’t mean Slovenes don’t drink coffee, on the contrary. One thing which never stops surprising me is, how much time people in Slovenia spend in cafes. In the center of Ljubljana, the capital of Slovenia, you will see one café next to another, and they are all full all the time. The price for espresso is 1 – 1,4 €, while a cappuccino is usually 1,5 – 2,5 €. 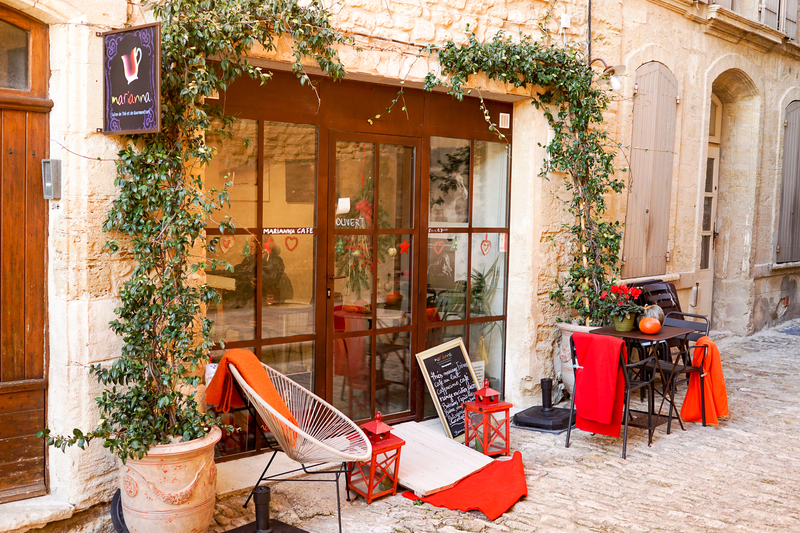 Most of the cafes have an outdoor terrace which works also during the winter (with heaters and blankets for customers). My personal favorites are Pritlicje, Tozd, and Daktari with Sunday open mike events. Read more about Slovenia here. 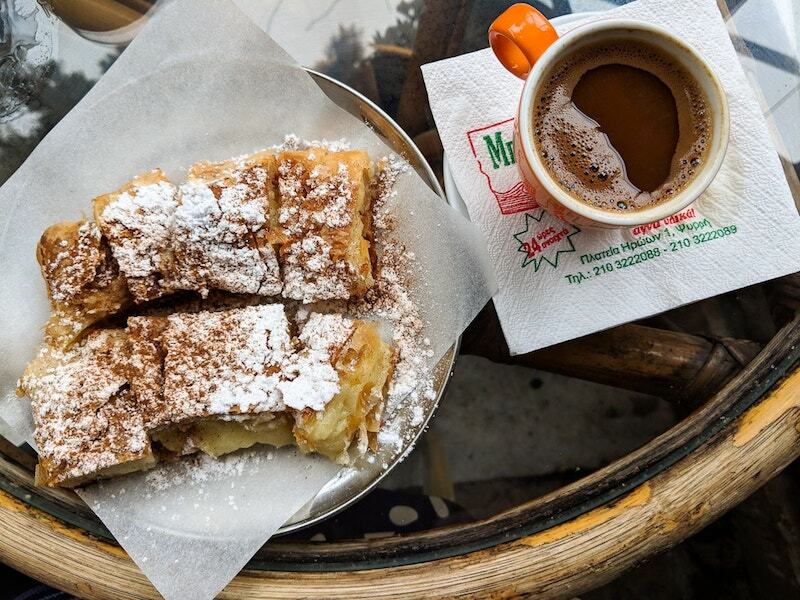 Coffee culture is an essential part of Montenegrin life. It is much more than a simple and invigorating beverage but mainly a national pastime. Whether chatting with your friends, neighbor or business partner, there is always a cup of coffee. Any time of the day. 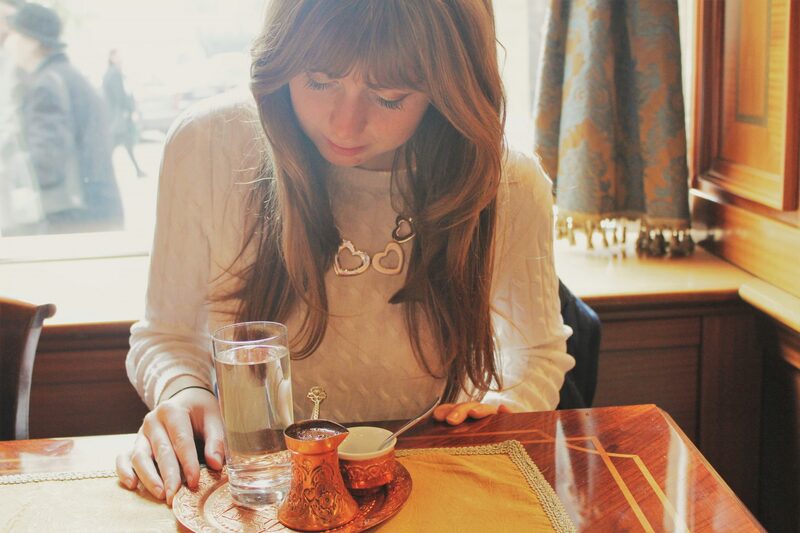 The traditional choice is “turska kafa” or Turkish coffee. Turkish coffee is unfiltered coffee, made with roasted and finely ground coffee beans, slowly boiled in a “đezva” (a small long-handled pot, like shown on the photo below). The key idea is to let a coffee build a thick layer of froth on top. The beverage has a strong, rich aroma and is very thick. It is usually sweetened with sugar. From the remaining grounds left after drinking coffee are usually used for future-telling. It is also said that once you learn how to make good Turkish coffee, then you can get married. However, in many cafe bars, Montenegrins now opt for various kind of espresso, macchiatos, cappuccinos and more. 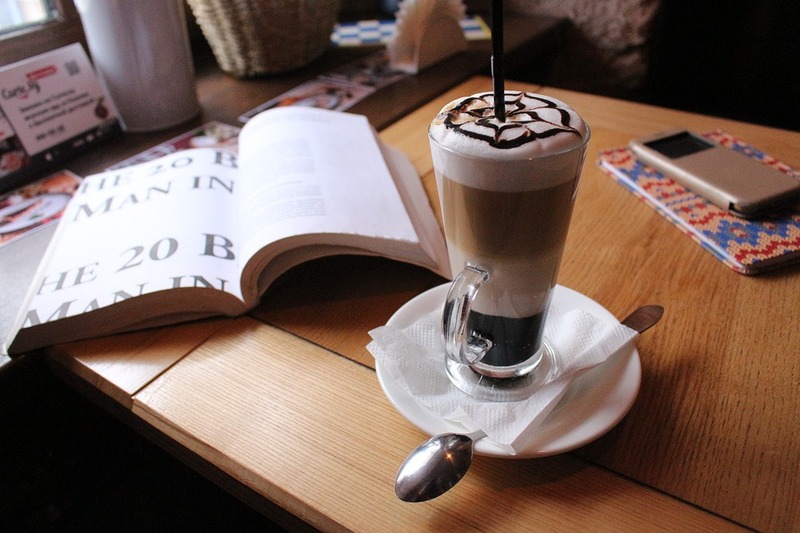 Coffees in bars are often accompanied with a glass of water. If you want to know more about Montenegro, you can read this Travel Guide. Coffee plays a major part in Portuguese culture and is generally cheap and extremely good. 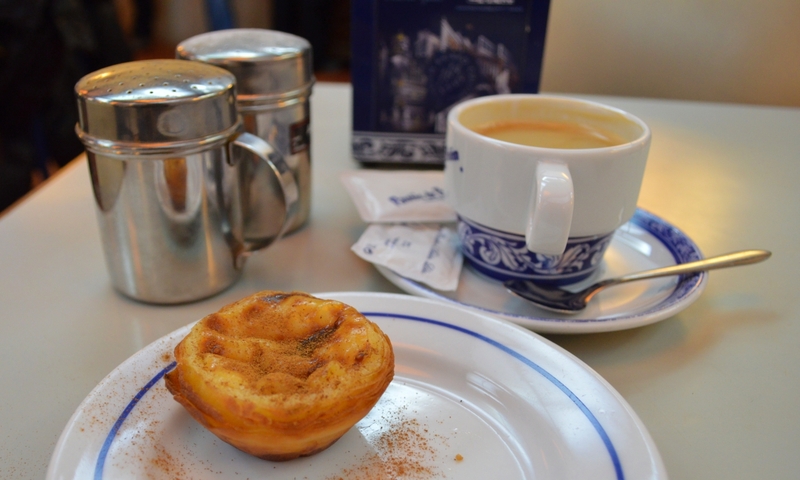 Avoid Starbucks and head straight to a normal Portuguese café or bakery where you’ll get much better value for money. Here, you’ll find people standing at the counter, having popped in for a quick coffee hit. They’ll be drinking a simple café or bica, which is a strong shot of black coffee. If that’s a bit too strong, you can have it topped up with water by asking for a café cheio, or a pingado for a splash of milk. These ‘short’ coffees are what you’d typically finish off a meal with, rather than a larger cup of coffee. For a longer coffee with milk (but still not mug sized), order a meia de leite, which is half coffee, half hot milk, or a galão, which is pretty much the same but served in a tall glass instead of a cup. A long black coffee is an Americano. You might order one of these if you intend to sit in a café with a cake or toast mid-morning or afternoon, although I enjoy a meia de leite at breakfast time, too. Coffee culture in the UK has totally blown up in recent years. A decade ago, it was pretty difficult to get a decent coffee (read: one not produced by the huge chains churning out mediocre sips on a mass scale). How things have changed. 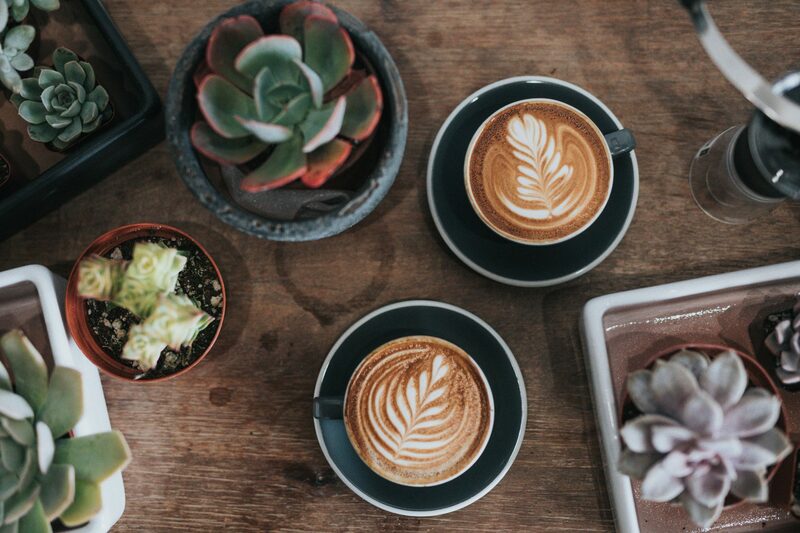 These days, there are great coffee shops pioneered by passionate coffee lovers in pretty much every town and city in the country – and more are popping up every week. Us Brits don’t tend to have hard and fast rules about what’s acceptable when it comes to ordering coffee. Few people will raise an eyebrow if you order a milky coffee after noon, or break some other sacred coffee rule. It’s all about finding what works for your personal taste. 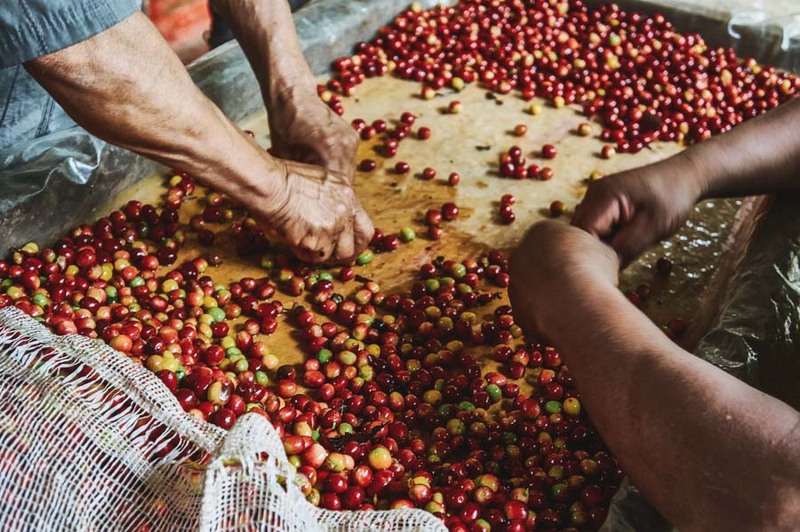 That said, there is a growing emphasis on drinking coffee that’s been ethically sourced – and a focus on the best quality. In London, coffee shops in Shoreditch, Covent Garden, and many other areas are paving the way and people’s tastebuds with quality brews. My personal favorite is Fix 126 – pop in if you’re in town. Restaurants are gradually moving away from commercial coffee to specialty category coffee. Almost all of them used dark Italian roast before, and now they are switching to fresh Ukrainian roast. Restaurants are forced to introduce this trend because otherwise people will just go and order a coffee from a coffee shop across the street. And Ukrainians do drink a lot of coffee: for breakfast or on their way to work, during lunch breaks and some people even drink it for dinner. Czech Republic’s coffee culture has started developing in the last decade, mostly in large cities such as Prague, Brno, Olomouc, Liberec, etc. Nowadays, you can get the most perfect cup of coffee from a quality roaster nearly anywhere in Prague. Cold drip, Aeropress, Chemex … anything. With plant milk, if you desire. The so-called Third Wave Coffee has definitely found its place in the major Czech cities. Taking things a little further – special coffee drinks like a charcoal or a turmeric latté are not served everywhere, but you can find them. For a charcoal coffee, you can try my favorite (Japanese) café Momoichi and for a good turmeric latté head to another of my faves: Monolok Café. Prague’s Vinohrady area has one of the highest concentrations of amazing cafés, and both Momoichi and Monolok are located there. Coffee in Croatia is not only a beverage. It’s one of the most important drinks and the central point of many social gatherings. People are usually drinking coffee in cafes, and it’s something that lasts for at least an hour. But it could easily get closer to two hours. Everything is done over the coffee, business meetings, catch-ups with friends or finishing any kind of work you did. The most popular is coffee with milk, similar to macchiato (‘kava s mlijekom’ in Croatian). While cappuccino and latte macchiato (but, a much smaller version than in some western European countries) are also quite common. You’re going to get your coffee in Croatia served with a glass of water on a side. However, if you’re going to be invited in someone’s house, a completely different coffee is going to be served to you. People rarely prepare coffee in coffee machines in their homes. But, they are preparing, what they are calling, a Turkish coffee. It’s made of ground coffee beans cooked in water in a special pot called cezve. Coffee is so integrated in Croatian culture and an everyday life that a pack of coffee is what people are usually getting as a present when visiting each other. In Sweden, most people drink a cup of coffee 2-5 times a day. This is done at home, at work, in cafes, and after dinner in many restaurants as well. The most popular type of coffee is filter coffee, and we fill up big cups. If you compare it with an Americano in Italy or Spain, our cups are at least three times larger. Some popular chains in Sweden are Espresso House and Wayne’s Coffee. These are the equivalent to Starbucks, but often have better quality and more types of coffee beans to choose from. Then we also have many smaller cafes serving all kinds of coffee. The cafes are open from early morning to late in the evening. Some cafes also have open until midnight on weekends. While drinking coffee in Sweden, it’s also customary to order some type of pastry or cinnamon buns. The most popular brand for coffee is without a doubt Zoegas, and you can find it in all supermarkets. This is grounded coffee to make at home or work in a coffee maker. If someone has never been to Kosovo, they wouldn’t associate it with the coffee culture but more with either the war that happened 20 years ago or with the friendly people Kosovo has. However, the coffee culture throughout Kosovo is great; either because people have excess free time (unemployment is very high, and Kosovo has a young population) or because the coffee and coffee places are wonderful. At any time of the day, you can see people, young and old, sipping their coffees in the various coffee shops throughout the country. At lunchtime, Pristina cafes are full, and if you don’t book in advance or go early-ish, you might have to wait for a table or go and look for some other place. Evening time, right after government officials are done with their work at 4 pm, the main square in Pristina is full of people. Youngsters, families, couples use their time to stroll around and enjoy a cup of coffee in one of the many places. Moreover, there is a Coffee and Tea Festival that is becoming traditional and takes place in one of the main squares in the capital city of Kosovo, Pristina. 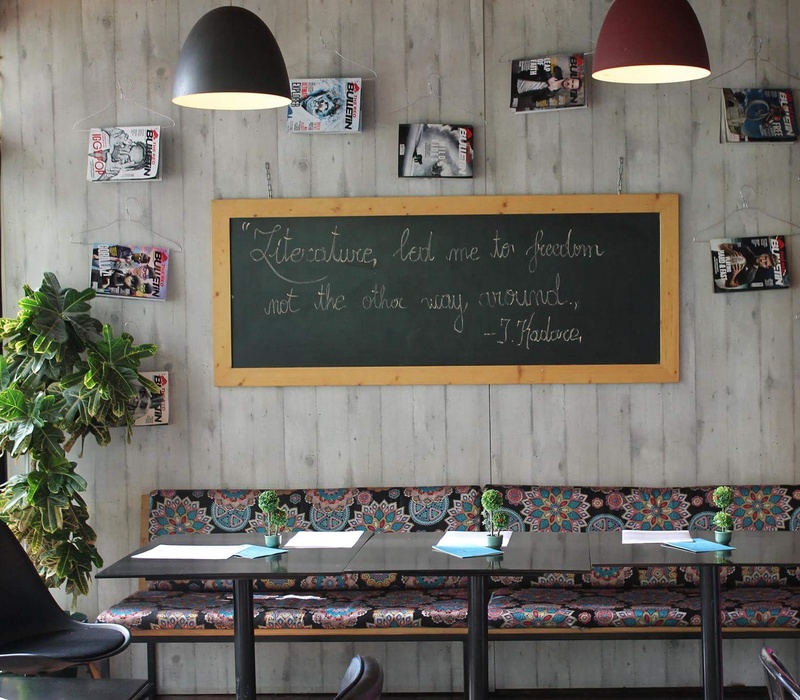 These are the best places in Pristina to eat and drink. Coffee culture in Serbia is deeply ingrained in everyday life. The five centuries of Ottoman occupation deeply changed the Serbian social structure and brought about a thriving coffee culture. Coffee in Serbia is typically enjoyed in dedicated cafés called “kafanas” which means coffee house. 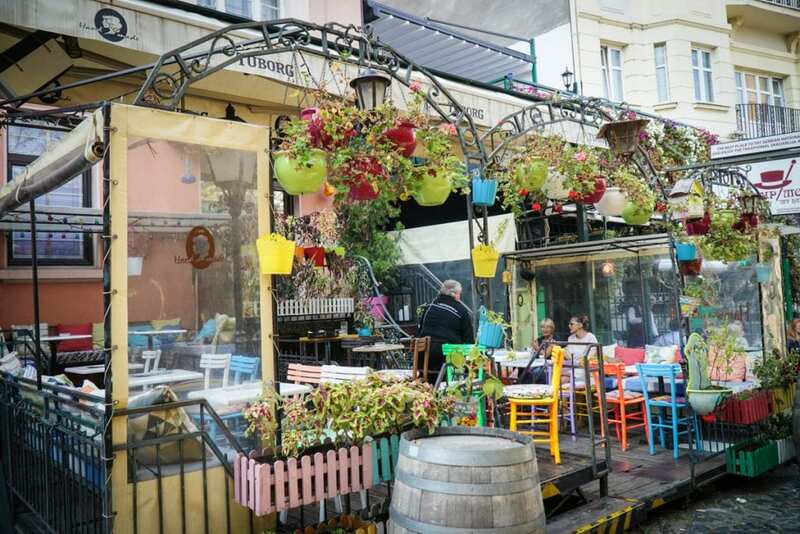 These are places where coffee and other beverages are served, sometimes with light food as well, but they are essentially places where Serbian locals meet up and drink a coffee or two over the course of a few hours while talking and catching up with loved ones. The most typical coffee is called domaca kafa, which means “homemade coffee” and is similar to Turkish coffee (just don’t tell a Serbian that – they won’t be happy!). The coffee is prepared slightly differently than Turkish coffee, but it tastes similar: thick, strong coffee with grounds that settle on the bottom, so don’t be tempted to drink it to the last drop or you’ll end up with a mouthful of coffee grounds at the end! The hip capital city of Belgrade has hundreds of traditional kafanas, many on the popular pedestrian street of Skadarska. However, it also has a thriving third wave coffee scene serving up delicious specialty coffee as well to a younger crowd. I personally love Užitak and Kafeterija. Be aware though that Serbia still allows indoor smoking so sitting outside is best if the weather allows! Italian life is formed around many types of social rules, and coffee culture is but one among the many that organize daily life in Italy. 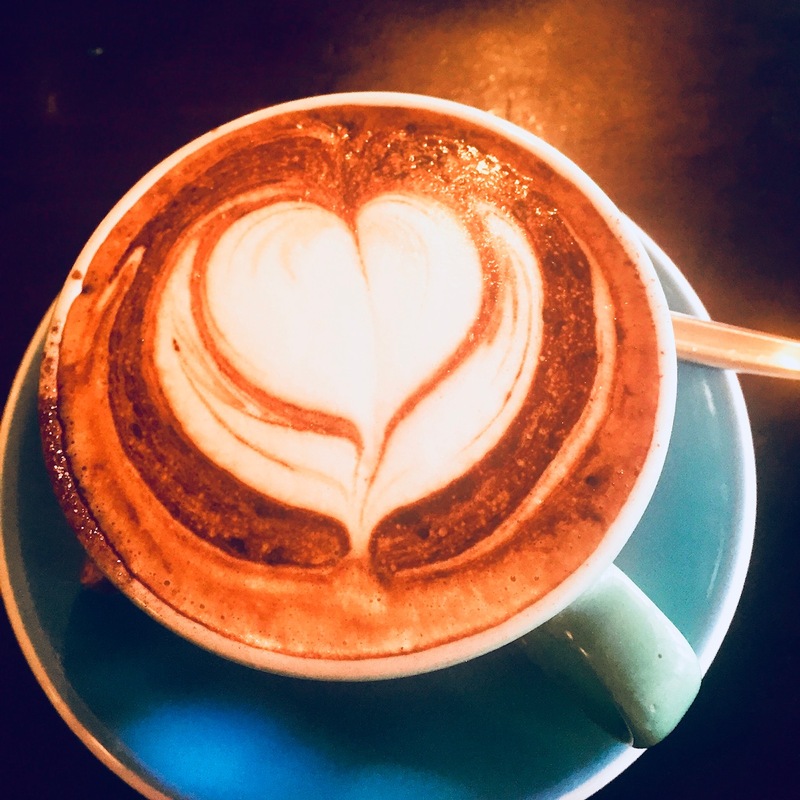 Coffee was introduced in Italy in the 1500 and 1600s but didn’t become part of Italian culture until the 19th century with the introduction of the steam-driven coffee machines and the myriad of variations on how coffee was served that followed. The term espresso is thought to be derived from the practice of making this type of coffee “on express order” where other types of coffee were prepared in advance. Coffee is everywhere in Italy, and it seems everyone one is drinking all different kinds and styles of coffee drinks all the time, but in fact, there are a few rules to follow about coffee while in Italy. Ordering a cappuccino with your after dinner dessert is a breach of Italian coffee etiquette and will stamp you as a tourist. Only order milky coffee drinks such as Caffè Latte or Latte macchiato in the morning and never after dinner. Even ordering a cappuccino as late as 11 AM may illicit stares. Don’t ask for a “to-go cup!” Coffee in Italy is meant to be part of a social exchange and enjoyed in small doses in the company of others. Coffee in Italy is more daily ritual than a caffeine delivery system. Better to visit your barista several times throughout the day than to order caffè doppio or double shots of espresso. It is common to drink your espresso normale standing up talking with friends or the barista. It is also common to order and drink your coffee before paying for it. Caffé Corretto: an espresso corrected with a shot of grappa or cognac. 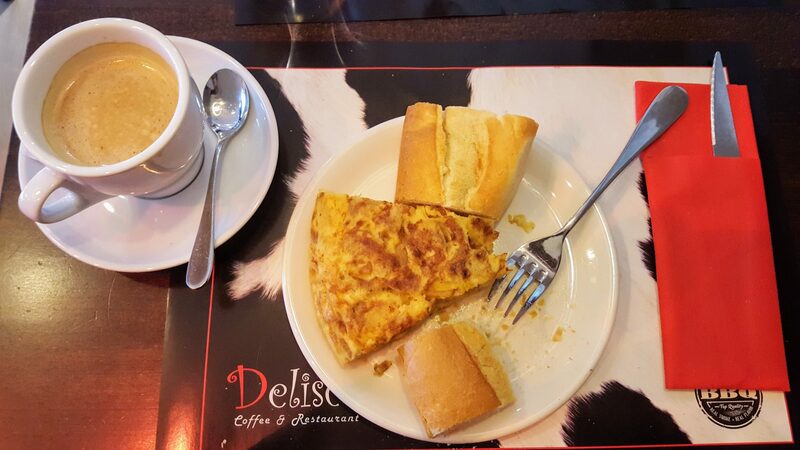 The Spanish take coffee breaks several times a day, starting with breakfast and ending after dinner. 7 AM? Cup of coffee. 10 PM? Cup of coffee. They believe in too much caffeine just as much as they believe that eating dinner at 10 PM is too late: they don’t. Usually, a coffee break is a good cup of café con leche, though you can also opt for an Americano or cortado if that’s more your jam. Try pairing your café with a muffin or other small snack for a quick little Spanish pick me up. And if you’re thinking of skipping the coffee breaks? Don’t. These breaks are an important part of Spanish culture – it’s when you get to know your friends, family, coworkers, or whoever you’re around, so even if you’re already out-caffeined, grab a glass of water, sit down, and socialize. Coffee is and has been an integral part of Austrian culture since the second Turkish siege in 1683 when Ottoman troops accidentally left behind some coffee beans. After a few experiments and adding plenty of milk and sugar, the Viennese coffee was born. The first coffee house in Vienna opened in 1685, but more emerged soon. The heyday of Austrian coffee culture, however, didn’t occur until the early 19th century. The coffeehouses in Vienna became the focal point of literary and political discourse in Austria. 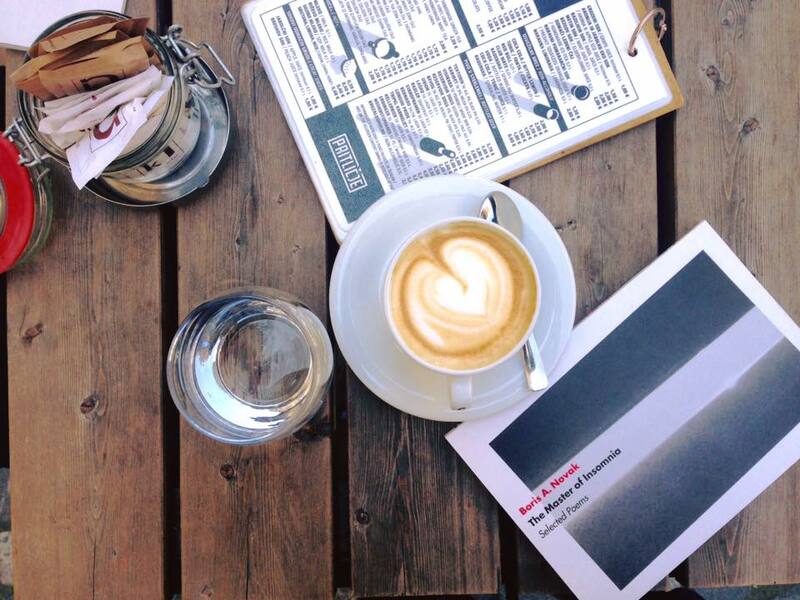 Famous writers such as Arthur Schnitzler and Peter Altenberg spent most of their days at Viennese cafes. Siegmund Freud, Egon Schiele, and Gustav Klimt were also frequent visitors. To this day, Viennese coffee houses have hardly changed. With their marble tabletops, bistro chairs, and free newspapers, Viennese coffee houses invite you to sit down and slow down. It is not uncommon to sit down and read or write for hours. The Viennese coffee house culture is so quintessentially Austrian; it is listed as Intangible Cultural Heritage by the UNESCO. It is bad style to order anything but Austrian style coffee. Most go for a classic Melange coffee (similar to a cappuccino) or Einspänner (black coffee with whipped cream). If you’re looking for something to nibble on, cakes and pastries such as apple strudel are a perfect choice. Coffee probably isn’t the first thing that springs to mind when you think of Greece, but Greeks love their coffee. It’s pretty much the national drink. And the coffee culture in Greece is quite unique unlike that of Italy and other European coffees, with the main types available being either ice cold or the traditional ‘Greek coffee’ which is hot and served with the grounds, similar to Turkish and Arabic styles. In the winter a traditional Greek coffee does the job. It’s good and cheap and not uncommon to sit at a cafe and nurse a Greek coffee for many hours (and many cigarettes). But in summer you’ll soon notice that everyone is accessorizing with a cold coffee. The most famous is the frappe which is made with a type of instant coffee whizzed up with ice, optional stiff foamy milk, and usually lots of sugar too if you haven’t had one before they can be quite a caffeine and sugar hit. The modern update to frappe is the freddo cappuccino or a freddo espresso. These are made with shots of espresso instead of instant coffee and with varying amounts of milk foam. All cold coffees are served over whole ice cubes rather than crushed ice – this isn’t Starbucks. Yamas! Sarajevo is truly a melting pot of cultures. On one street you feel as if you are in the Orient, standing outside a picturesque mosque and a busy market bazaar. The next street, however, is lined with classical Austrian architecture which reminds one of lazy evenings wondering around Vienna. However, one experience is undeniably part of Bosnian national heritage: Bosnian Coffee. To the uncultured coffee enthusiasts, Bosnian coffee may appear to be the same as Turkish coffee — thick black liquid swirls in the beautiful tin džezva. The waiter glances judgingly in our direction to make sure we follow the exact art of pouring and drinking Bosnian Coffee in Sarajevo. The process begins with the fluffy foam that nestles on top of the boiling coffee. Spoon some of the foam into the decorative cup placed next to the džezva. Then using the long, delicate handle gently pour some of the deep brown liquid into the foam. If you like your coffee sweet, dip the sugar cube into the piping hot coffee and then place it on your tongue. You then sip your coffee and drink it through the sugar cube. Enjoy traditional Bosnian slow life and leisurely sip your deliciously aromatic Bosnian coffee. Drinking coffee is a bit of an institution in France. Mornings involve large bowls of the steaming brew, often with an accompanying pastry or tartine. Which, love it or hate it, is often dunked into the coffee pre-bite. But I’d dare to say coffee drinking in France is often about the social aspect rather than just getting your caffeine hit for the day. Many hours are spent sitting on curbside cafés with an espresso in hand, watching the world go by. And if you’re ever invited into a French person’s home, or have a business meeting, you’ll no doubt be offered a coffee – served small and black – no matter what time of the day. Although the quality of coffee in France is fabulous, if you’re used to your super-sized Starbucks, or milky concoctions, you’ll most likely be disappointed. It’s rare to find a good latte in France. Rarer still, if you want a cows-milk substitute. So, if you do find a good barrister who can knock you up your favorite drink – you’ve found yourself a winner! Ethiopia is the 5th largest coffee producing country the world and the largest coffee producing country in Africa. While they export much of the coffee, they also have one of the coolest coffee cultures in the world. 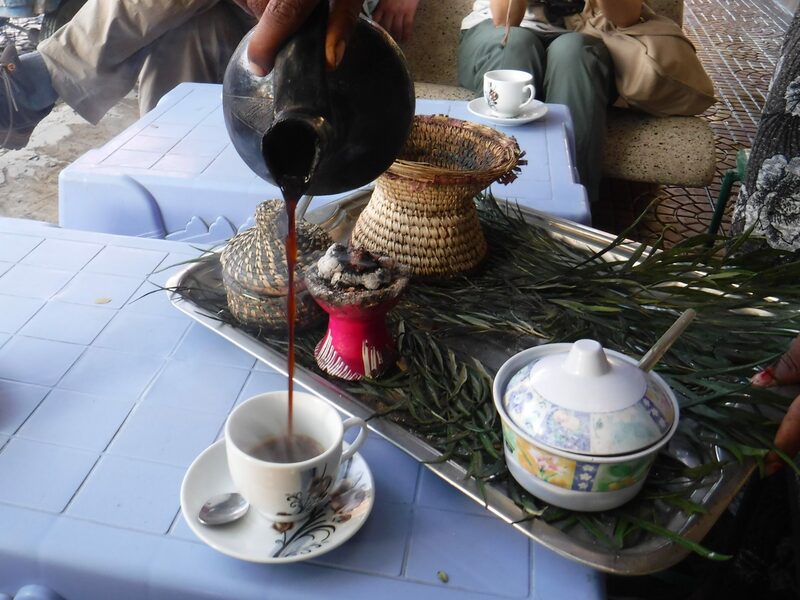 Before I went to Ethiopia, I had read about the “Ethiopia Coffee Ceremony,” wondering what it entailed. The ceremony is performed in an area of the home or a restaurant in an area covered in blades of grass. First, the coffee beans are roasted over hot coals, then ground, then made into a thick, black coffee. Coffee is poured from handmade clay pots and served in small cups without handles. You are asked how many scoops of sugar you want. Many people use at least three scoops of sugar, making it very sweet. My favorite place to get coffee was at makeshift coffee shops by the road, where a cup cost about 15 cents (USD). Coffee isn’t just for breakfast here – most restaurants served it all day long. Coffee in Jordan is a way to socialize as well as to do business. Arabic coffee traditions have been used for discussing family matters, from marriage proposals to civil matters between neighbors. But in Amman, coffee shops create a space to socialize and are a popular way for adults, men, and women, to get together. Often coffee and shisha go hand in hand, and the average coffee in a coffee shop would cost between USD 2.5-4. 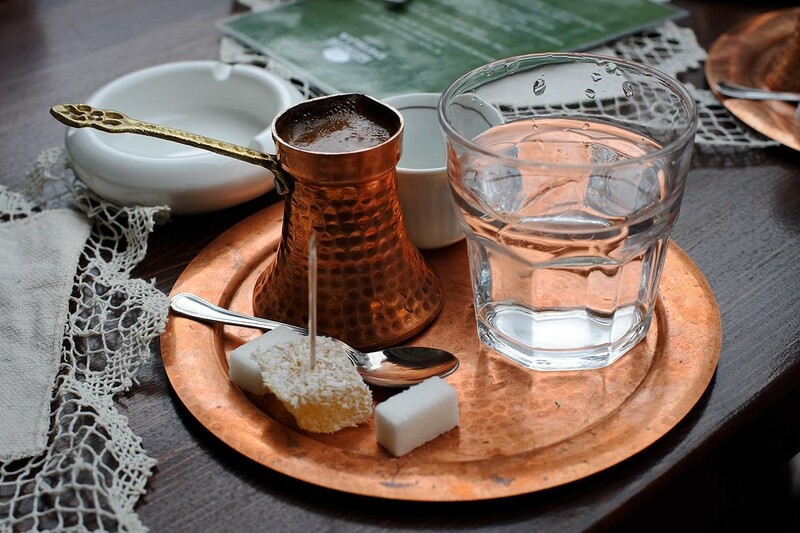 Usually, it is Turkish coffee that is served, and it can be ordered as it is, with a little sugar or sweet! Most Jordanians drink coffee every day, and there are plenty of vendors on the street as well as along the highways that will make and serve a Turkish coffee for a little under 1 USD. You will almost always see a taxi driver sipping on a hot coffee when you get in the back of a taxi! While it often takes a little while to get used to the strong and utter flavor of Turkish coffee, it is well worth trying while you are in Jordan. In a country where alcohol is banned, many coffee shops have sprung up in Iran, where coffee is now seen as the beverage of choice. For many Iranians, drinking coffee in a cafe is a sweet escape from the shackles of society and a choice of elevating their Western palette. The coffee in Iran is similar to Turkish and Greek coffee and is an important place for the young and the political to connect and share conversations and stories. 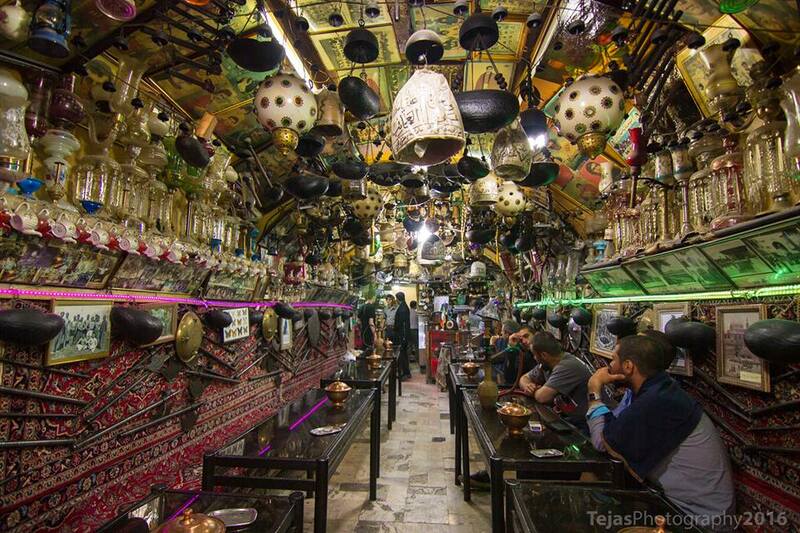 A notable cafe is Azadegan Teahouse where it is a wonderland with knick-knacks hanging everywhere. Every inch of the walls and ceiling is covered in pictures, paintings, lamps, and other intriguing finds. Although it is a venue for tea-drinkers, coffee and desserts along with shisha are frequently served to locals and tourists all whilst puffing away and regaling their stories of Persia. There are many reasons to visit Iran, but experiencing their coffee culture and their up and coming specialty coffee scene is likely to gain traction among off-beat and curious travelers. Coffee is a massive part of Lebanese culture. It is so deeply ingrained in Lebanese society that it is a part of everyday life. It is a symbol of generosity and warm hospitality, qualities that Lebanon is famous for. For example, offering guests a cup of coffee at the end of their meal is an important part of the Lebanese restaurant experience. Drinking coffee in Lebanon is also so ubiquitous that it happens at work, in cafes, at funerals, weddings or just at home when chilling watching Netflix. Lebanese coffee is similar to the rich dark, thick Arabic coffee. It’s strong and bitter, but can be prepared/served sweet. The Lebanese coffee differs from Arabic coffee in that it usually has spices added to it, in particular, cardamom. Coffee in Arabic is called “kawja,” which is thought to be a shortened version of the phrase “qahwat al-bun,” meaning the “wine of the bean.” In Lebanon, the old men who serve the coffee are called “kahwajes” – a tradition that goes back to the 15/16th centuries. In some rural parts of Lebanon, the kahwajes play an important role in ceremonies like weddings and funerals. 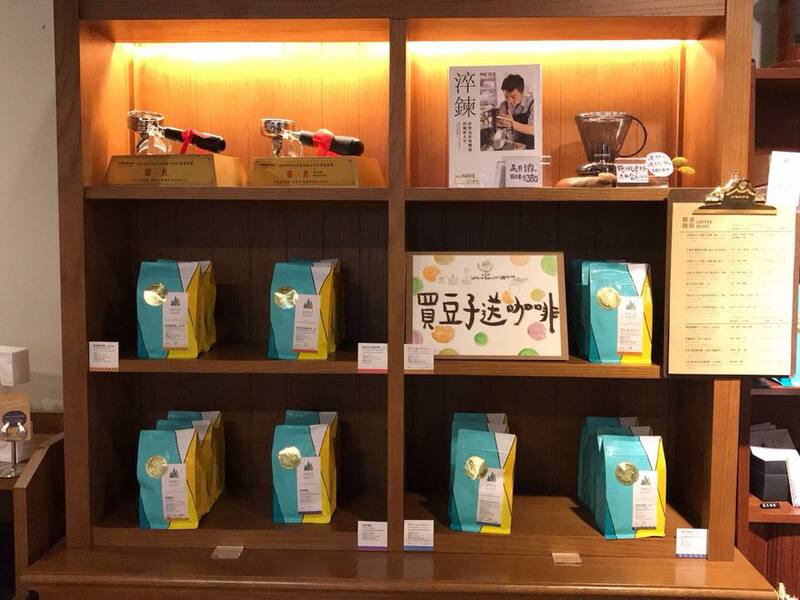 If you’re into specialty or third wave coffee – Taiwan will be an under-the-radar gem for you! Normally people associate milk bubble tea with Taiwan – but really some of the best coffee is being served and roasted here! Coffee was brought here by Japan in the early 1900’s, so they’ve had quite a head start in the coffee game compared to many other Asian countries. With coffee beans sourced from the famous Ninety Plus, this minimalist cafe offers Geisha and Ethiopian cups for affordable prices. Rufous Next to a couple of universities, Rufous is a popular draw for students and professors nearby. They have high-quality beans with all sorts of roast levels, including Geisha beans. Hours are 1 pm to 11 pm – perfect for night owls. Coffee Sweet This always popular, family run coffee shop has some of the best coffee in town. They also stock Ninety Plus beans with several Geisha and Yirgacheffe selections. The Vietnamese like their coffee thick, strong and sweet. Drinking coffee iced is also very popular thanks to Vietnam’s hot and humid climate. 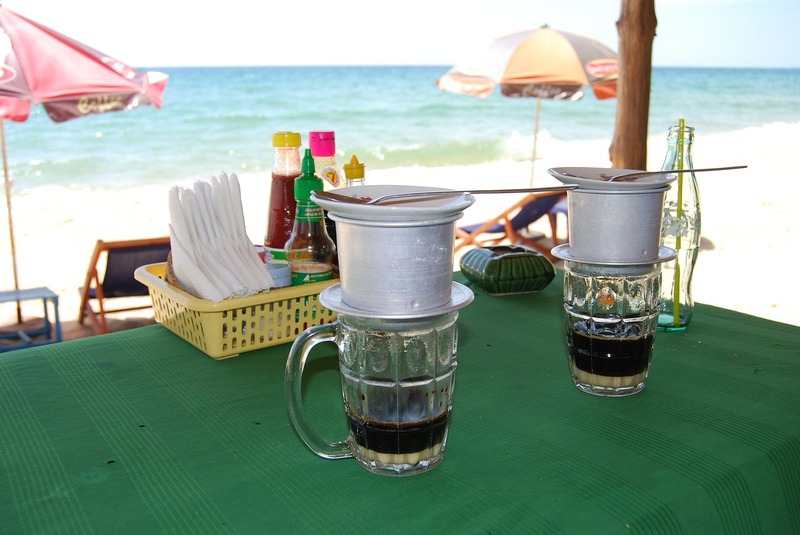 The most traditional coffee is a cà phê đá (literally ‘ice coffee’) made using a drip filter. The coffee and hot water are added to a metal filter, served sat upon the cup, which you then have to wait while it drips down. This produces a small thick shot of coffee. If you like it sweet, the coffee will be served with a generous heap of condensed milk. Mix it all up to enjoy a syrupy sweet caffeine boost! Vietnam’s capital, Hanoi, has a grand café culture and you will find small quaint little coffee shops all over the city. The coffee is strong and cheap; a filter coffee will set you back around US$0.75-$1! Hanoi also has its own unique specialty coffee that any coffee lover must try if they find themselves in the city, egg coffee (Cà phê trứng)! Egg yolks, condensed milk, and coffee are whisked and heated together resulting in smooth, velvety foam sat atop the coffee. It’s almost like a dessert as a spoon is needed to eat/drink it! When walking around any city in South Korea, you can spot another coffee shop every 10 meters. The coffee and coffee shop culture is a very lucrative business, but this only happened in the last ten years. Coffee only came to Korea just before the Japanese occupation at the end of the 19th century when the last king got in contact with western culture. Then it was a very expensive novelty, that was only available to the high society. 100 years later, by a company called Dongsuh, instant coffee was introduced to the Korean market and became an instant hit. By the end of the 20th century, South Korea became one of the biggest consumers of instant coffee. 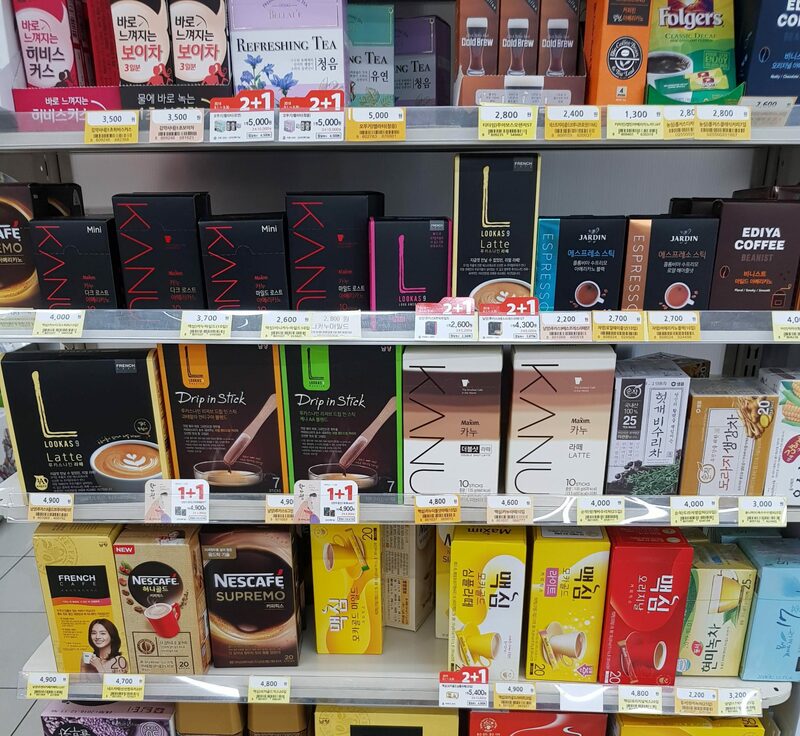 Even though nowadays, coffee shops serving real coffee are extremely popular, Korean instant coffee is still present in each household and every company, especially among the older generation. Most Indians are tea drinkers, the exception to this though is Southern India, mainly Tamil Nadu and Karnataka. Traditional South Indian coffee also called filter coffee has been enjoyed here for generations. The South Indian filter coffee is brewed in a unique metal device and served in a tumbler and dabarah. The coffee is served piping hot with milk and sugar. It is then poured back and forth between one receptacle to another (by the coffee drinker) giving it the name meter coffee. Also called kaapi, you can find streetside kaapi shops that serve up this delicious concoction. Coffee is usually enjoyed with breakfast and in the evening with some snacks like vadas. (Pictured above) European style cafés are now popping up all over the cities in India, but the best place to enjoy this traditional coffee if you find yourself in Chennai, the capital of Tamil Nadu is Saravana Bhavan, Sangeeta or Murugan Idli shop. Once you get a taste of it with some Idli, vadas, and dosas and you will be addicted too. In New Zealand, if we’re not talking about politics or the weather we’re talking about coffee and food. Coffee is how most people start their day in New Zealand, and it is a huge part of the culture. The flat white was invented in New Zealand and is the preferred type of coffee that people order. Don’t let the Australians tell you they invented the flat white – it is quite a contest between the two countries. Loretta’s is one of the cafes that doesn’t try to be cool; it just is cool. Located in the heart of Wellington down Cuba Street it is the perfect location to get a coffee and read the paper or just people watch while sitting at one of their comfy tables. 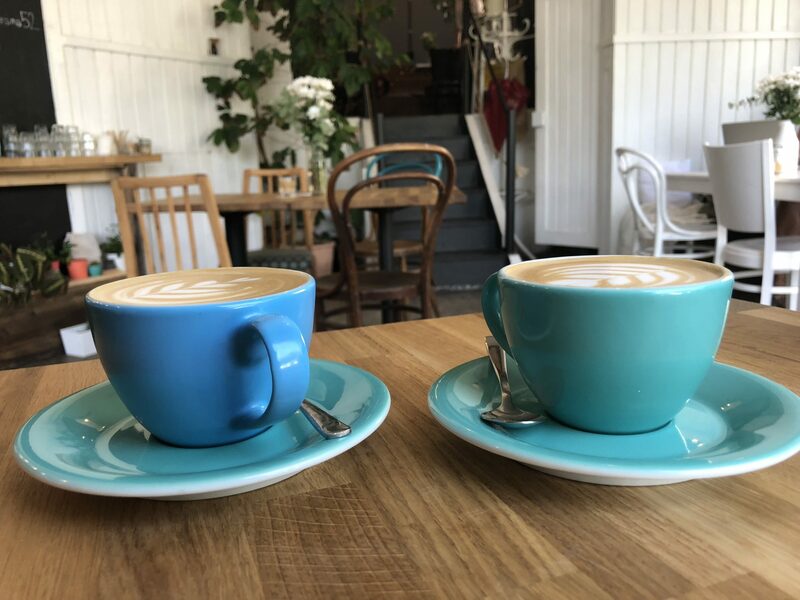 The place has a real openness about it and clean lines which makes it very relaxing which is the perfect setting to have a nice flat white. 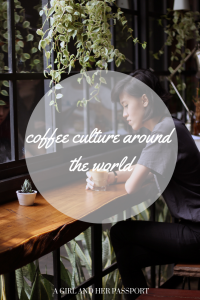 What do you think about the coffee culture around the world? What is unique about coffee culture in your country? Fascinating article, great to read about the coffee culture from so many different countries. All so different. My personal favourite anywhere is Tim Hortons in Canada as it seems so Canadian and is loved by everyone. Not a fan of most chains though. Thank you! I have only had Tim Hortons outside of Canada so I am not sure if it compares.